Hi! 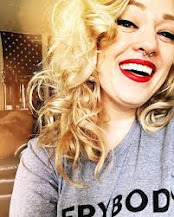 I am Katty and I am a 36 year old retro and vintage enthusiast that lives in the midwest. I recently moved from Kansas City, back to my o.g. hometown of Springfield, Missouri. I work in the dental field but, I like to keep a lot of irons in the fire, so I stay busy by modeling, blogging, reading, hanging out with my adorable new husband, Johnny, and our pitbull, Bubba. My life has drastically changed over the last year. I got divorced, am recovering from cancer, moved, started a new job, and then moved again, so needless to say, I have had a lot of "inspiration" to draw from when it comes to revamping this space. I hope you enjoy my little corner of the internet and hopefully you will get a tiny peek into my life as I create the best possible journey for myself.